Education • Funding will be used to develop more questions, train teachers to interpret complex results. 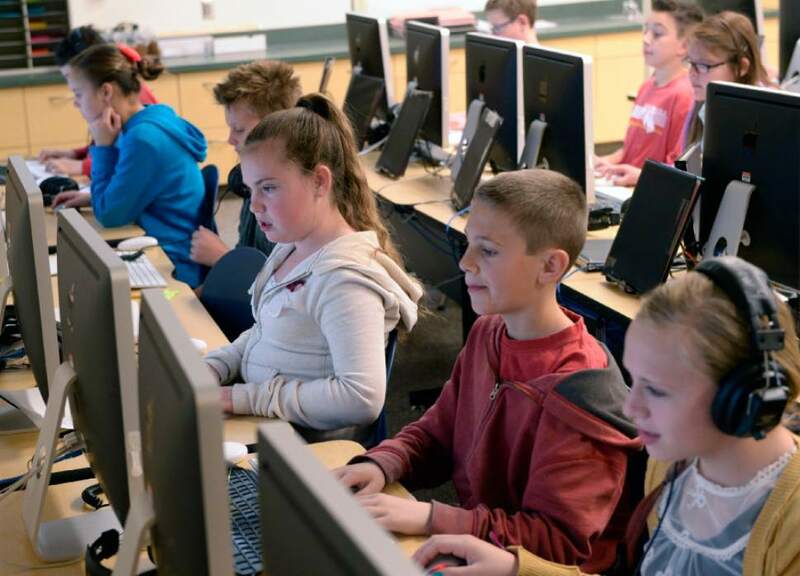 Al Hartmann | The Salt Lake Tribune Sixth graders at Fox Hollow Elementary School in Lehi take the state SAGE test. Starting teacher salaires for elementary school teacchers in the Alpine School District is $41,000 for the 2017i-18 school year. 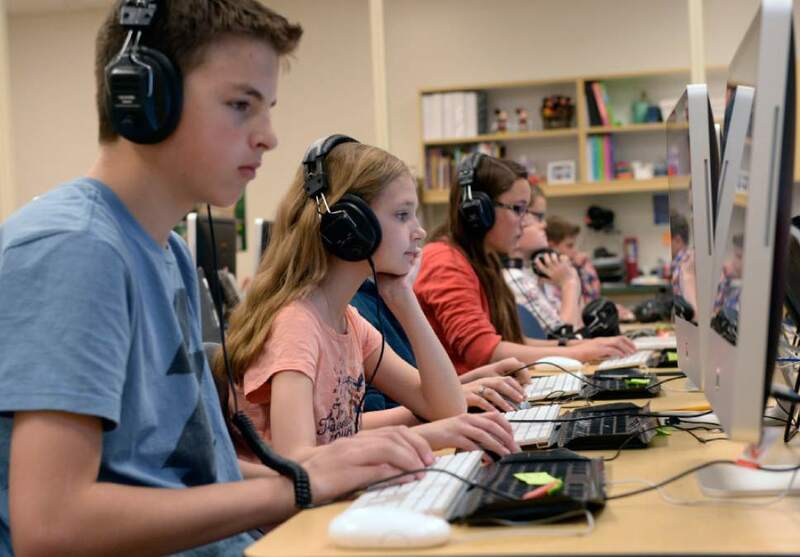 Al Hartmann | The Salt Lake Tribune Sixth graders at Fox Hollow Elementary School in Lehi take the state SAGE test Friday April 3, 2014. It's taken on desktop computers. Many parents at the school in the Alpine District are having their children opt out of state SAGE testing. Utahns may not be completely sold on the new SAGE testing system, but three states have offered to pay roughly $10 million to borrow Utah&apos;s test. State School Board members on Friday approved licensing agreements with Florida, Tennessee and Arizona that would allow education leaders in those states access to SAGE testing materials while they develop their own assessments. The revenue generated from the licensing will be used to develop new questions for the SAGE test and to train educators in interpreting student test scores. State Superintendent Brad Smith said the licensing presents a "serendipitous opportunity" to help schools make the most of assessment data. "We deliver massive amounts of data to schools and teachers with relatively little idea of what we really expect them to do with data and relatively little direction of how we turn that data into meaningful action in the classroom," Smith said. In October, Utah got a troubling message from the first release of SAGE testing data: By and large, Utah children are falling behind in math, science and English. State education administrators attribute the drop in student performance to heightened expectations, rather than a decline in teaching and learning. Messaging aside, schools are left with the challenge of interpreting test scores from a brand new test with an eye toward lifting the scores next spring. The SAGE test adapts to each individual student&apos;s ability level and is designed to generate a more detailed snapshot of strengths and weaknesses. But educators say the unfamiliar format is difficult to interpret with only a single year of test scores as context. "The SAGE data is so new and so different, we, and all the districts across the state, are trying to figure out what it really means," Salt Lake City School District spokesman Jason Olsen said in an email to The Salt Lake Tribune. Olsen said that every school in the district feels a need to improve, even those that performed comparatively well. But, Olsen added, it may be too early to effectively use SAGE data to guide instruction. "SAGE has the promise to be a great tool for assessing student learning," he said. "But we are just a few steps into a long journey." On Friday, Associate State Superintendent Judy Park told members of the school board that interpreting assessment data is one of the weakest links in the public education system. "That&apos;s a huge missing link, not only here in Utah but across the country," she said. Park said adaptive assessments and data-driven learning is a relatively new strategy in education, and schools need help making full use of the tools available to them. "This is an emerging idea and we&apos;re still learning and discovering and improving on how to make this effective," she said. The agreements with the three other states include roughly $5,400,000 from Florida, to be paid in June. The money will be used to develop new SAGE test questions. Arizona will pay the state roughly $2,223,000 in June. And Tennessee will pay the state $2,340,000 next year. Revenue from Arizona and Tennessee will be used for educator training on the use of student testing data. Contracts with each of the three states allow for the use of SAGE materials for one year, with the option to renew for an additional two years. School board members approved Florida&apos;s licensing agreement in April. Park said she intends to visit with school administrators to seek input on designing a teacher training program. Developing the training programs will be up to individual school leaders, not the state Office of Education. "We&apos;re not going to be a SWAT team descending on a school," she said.